The attendance show covers the Aims & Outcomes for "EVERY CHILD MATTERS" and was developed for Bedfordshire Education Welfare Department and delivers very positive messages about the importance of school with lot’s of FUN and LAUGHTER. Attendance Show & teachers workshop support pack. 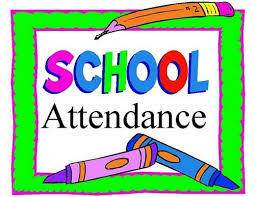 The Attendance Miss School - Miss Out show comes at attendance from a different angle. The Miss School - Miss Out show covers the Aims & Outcomes for "EVERY CHILD MATTERS" and was developed for Bedfordshire Education Welfare Department and delivers very positive messages about the importance of school with lot’s of FUN and LAUGHTER. The show demonstrates the importance of school and the chance it offers everyone. We start by asking everyone "How does school help us"? What do we want if we are successful? The performers do not feed the students any of the answers it is the older children who are giving the answers to the younger ones. Teachers support pack and workshop. For once Peer Pressure works in our favour. GOV.UK - Information for teachers. Call now to get your local authority price.